I have been doing some volunteer work with this theatre group for a little over 2 years now and have finally made it to one of their performances. 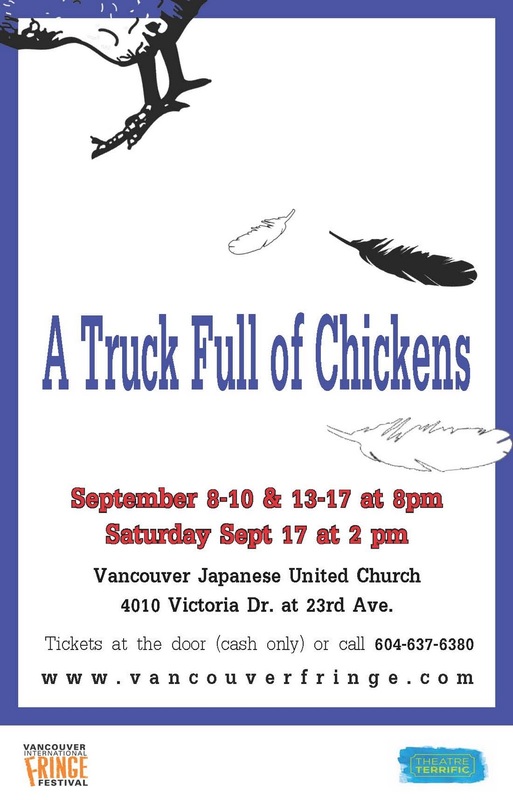 It is Theatre Terrific's final performance of "A Truck Full of Chickens," which played at the Fringe Festival earlier this month. This inspiring theatre's motto is : "brings together artists who would normally never work together. Our diverse ensembles include professional and emerging artists with or without developmental, physical, or mental health issues, gender or language challenges." Check them out next time they have a show, it is usually at the Japanese United Church.